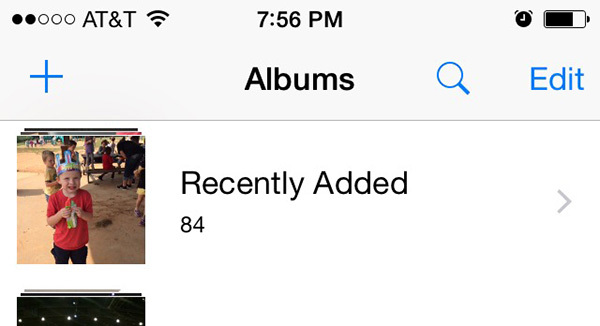 Update: As of iOS 8.1, the Camera Roll has returned, as well as the brand new iCloud Photo Library. 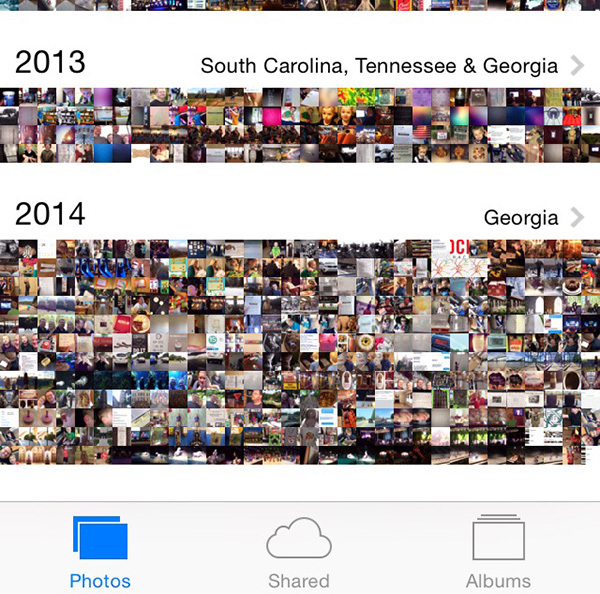 For iOS8, Apple revamped how the Photos app works. Once you open it, you’ll immediately see the changes – the Camera Roll is gone. In it’s place they have added Albums, which contain Recently Added, Panoramas, Videos, Slo-Mo, Bursts, and any custom albums you or a program have created. Gone is the “Camera Roll”, which previously contained a chronological list of all photos, in favor of two things: Recently Added and Collections. Collections was already on iOS, but most people didn’t use it and preferred the Camera Roll. Now it’s the only way to see all of your photos comprehensively. Collections organizes your photos by date and location (if you have Location Services enabled for your camera). But, there is an alternative for photos you’ve recently taken. With Recently Added, Apple gives you access to a semi-Camera Roll. All of your photos that have been recently taken (within 30 days) will appear here. It’s a faster way to load your photos than through Collections, which can be cumbersome to navigate through. It’s also confusing – the Recently Added only holds the most recent 30 days worth, after which the images fall out of the Recently Added album but remain still in Collections. Frustrating to be sure, and will be confusing to many users. What’s also confusing is that many apps that aren’t updated will pull photos from Recently Added. What do you think about the new Photo changes? Like them, or hate them? Leave some feedback below.